Be WOWED by this gorgeous newly renovated huge home that shows like a model. At 3407 sqft., with 2 Master bedrooms, 5 rooms in total, 4 full baths, formal or casual dining, new kitchen and appliances, granite countertops, bar, family and living room. There's plenty of storage too! Let your imagination wonder with the extra large bonus room. The loft or reading area overlooks the wood burning fireplace, living room and entry. Newly landscaped in the front and back yards. This home is idea for a large family. 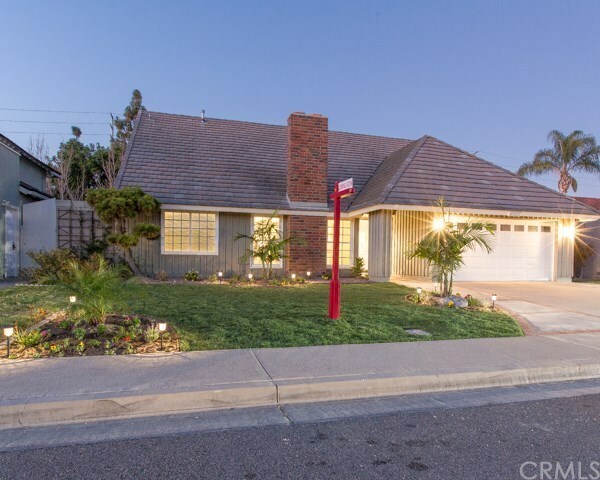 This gem sits in the Greenbrook Development that boosts about one of California's top rated schools (Courreges Elementary) in one of the States best School Districts. Fountain Valley High School is a mile away and is another highly rated academic school. Get your money's worth out of the HOA in Greenbrook with a large pool, BBQ area and banquet room. There's always something to do at the Club House. Just about all you could want is close by, from shopping, places to eat and some of California's best beaches. You'll have come to see this house to appreciated it. Then visualize your family growing up here. Fountain Valley is a nice place to live, work and play! Price to sell at $1,150,000.